Pag-IBIG Fund reported a considerable increase in income for 2017, posting a net income of P30.27 Billion, surpassing the year-end target of P25.13 Billion – an increase of 21% from last year's P25 Billion net income. This is the agency's highest recorded net income to date, accomplished mainly by an increased housing loan take-out and improved short-term loan availment. Pag-IBIG Fund, which just celebrated its 37th year, has been consistent in exceeding its yearly accomplishments. In 2016, Pag-IBIG Fund surpassed the P50-Billion mark for its housing loan take-outs. In 2017, the agency improved the quality of its loans and disbursed an unprecedented P65.1 Billion for its housing loan program, which provided 80,964 members with an opportunity to acquire or build their own homes. The strengthening of Pag-IBIG Fund's housing loan program is in line with President Rodrigo Roa Duterte's directive to address the country's housing woes. Housing and Urban Development Coordinating Council (HUDCC) and Pag-IBIG Fund Chairperson Eduardo D. del Rosario said, "President Duterte has been greatly concerned with the housing needs of our citizens. During the past year, we have been consolidating the efforts of our shelter agencies under the BALAI Filipino (Building Adequate, Livable, Affordable, and Inclusive Filipino Communities) program. I commend the efforts of Chief Executive Officer (CEO) Acmad Rizaldy P. Moti in leading Pag-IBIG Fund to contribute greatly towards this thrust." 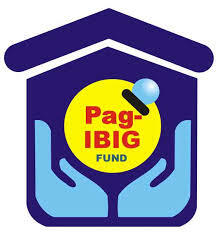 Aside from shelter financing, Pag-IBIG Fund's short-term loan program also contributed to the improved income. For 2017, it released P45.37 Billion in MultiPurpose Loans (MPL) – the highest ever – providing financial assistance to about 2 million member-borrowers. This, despite the transition of branch operations to a better integrated system. Pag-IBIG Fund CEO Moti cites the employees' hard work and dedication to excel as key ingredients for Pag-IBIG Fund's remarkable performance. "Last year, we declared 2016 as Pag-IBIG Fund's best-ever year because of record-breaking accomplishments. With the right mindset and strategy, we learned that our 2016 best can still be improved," he said. "In 2017, we placed emphasis on 'Lingkod Pag-IBIG' – a brand of service that we want all Pag-IBIG Fund employees to espouse. This means consistency in performing excellently and thinking of ways on how our members could benefit better from our programs. The key here is to apply constant, continuous improvement, no matter how small. That's why we do not stop in thinking of ways to better serve our members. From expanding our program coverage to improving our systems, we incorporate improvement so that Pag-IBIG Fund's best can become even better," Mr.Moti added. With Pag-IBIG Fund's net income at record-high, Mr. Moti said that members will also enjoy better returns for their membership savings. Last year, Pag-IBIG Fund declared a dividend of P22.3 Billion, with a 6.93% dividend rate. For 2017, the agency declared P27.29 Billion in dividends (or 90% of net income), an increase of 22% from the preceding year. The dividend rate on the other hand, increased by 10%, bringing the dividend rate to its highest ever at 7.61%. For inquiries, reservation and free house viewing.